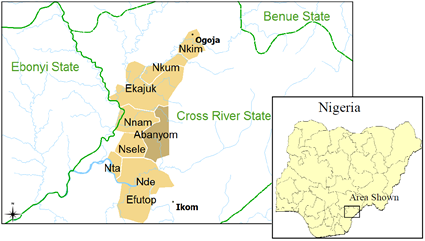 The Abanyom people along with the Ekajuk, Nnam, Nkim, Nkum, Nselle, Nta, Nde, and Efutop are all part of the Bakor cluster. 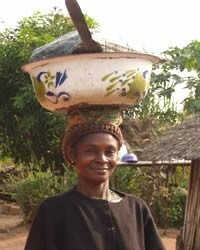 Originally from Emeatal and Etikpe, the people have now settled in the western-most part of Cross River State, Nigeria. They are very proud of their own language and say that they would like their children to learn to read and write in Abanyom. Currently most schooling is conducted in English. A few people are attending an adult education program that is being held in some areas. The teaching is done in English, but Abanyom is used for discussion amongst themselves. Most people, especially the youth, understand and speak some English. English is spoken with outsiders and those who don't understand Abanyom. 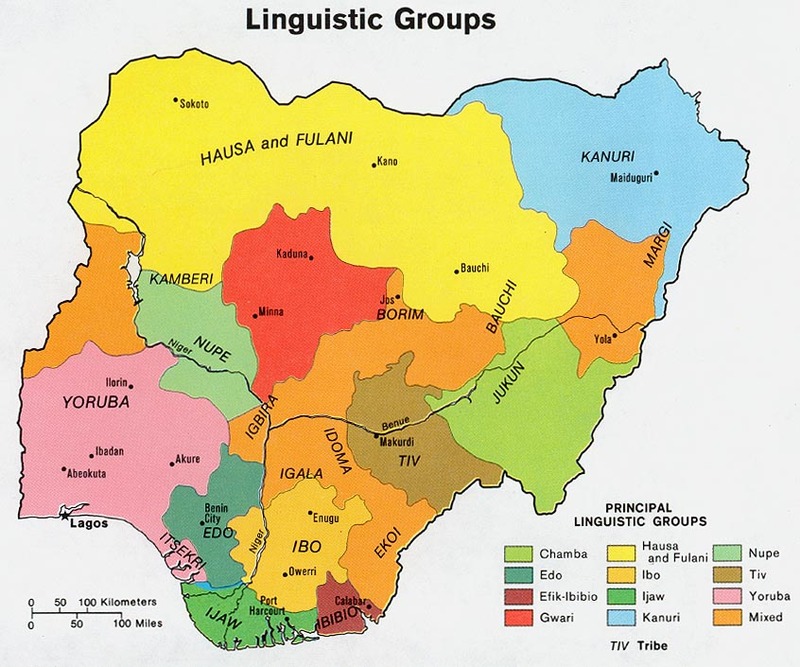 However, the people say that the most useful language in their own villages is Abanyom. When asked which language God likes, the elders responded, "All the languages! He created every language!" There are many churches in the Abanyom villages. Every village has at least one Roman Catholic Church. Other denominations in the area include Deeper Life, Assemblies of God, Methodist, Presbyterian, Christ For the World, and Apostolic. Most churches use English translations of the Bible, even though the children and grandparents don't understand it well. The Abanyom do not officially have a written language. The elders report that the only thing they have ever seen written in their language is a political speech. There is no standard written form of the language. * Pray for the Abanyom children and grandparents to hear the Gospel in a new way. * Thank God for all the churches among the Abanyom. View Abanyom in all countries. Location in Country: Cross River state: Ikom LGA, Abangkang, main village.